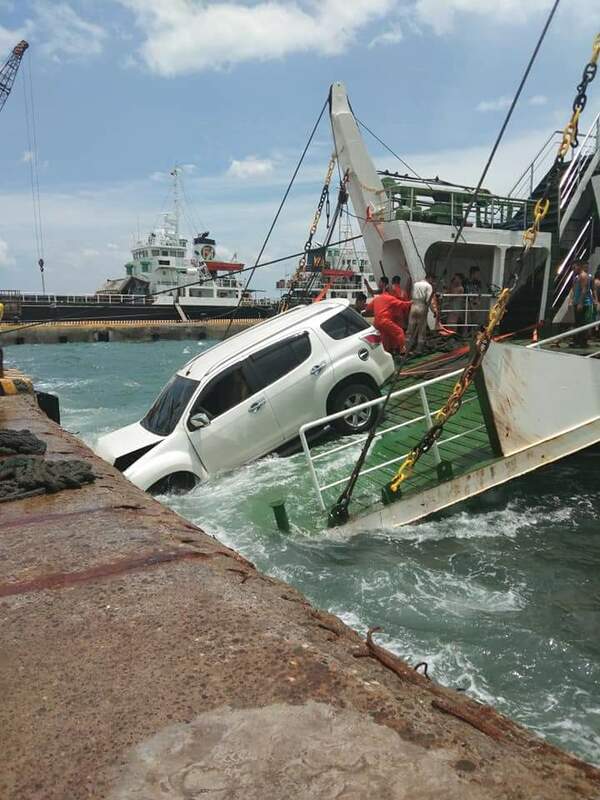 MANILA, Philippines – A sports utility vehicle (SUV) was captured on photo falling from a roll-on, roll-off (Ro-Ro) vessel at San Carlos Pier in Negros Occidental Tuesday at around noontime. 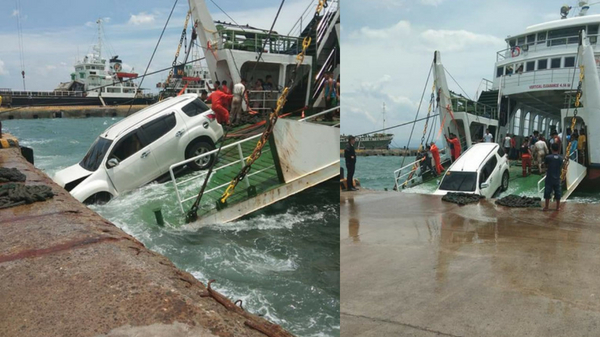 On Facebook, netizen Axel Seldura Tormes shared several photos of a white Toyota Fortuner, which can be seen almost plunging the waters as it slipped from the Ro-Ro vessel. Tormes said that it was due to the big waves. However, investigation from the authorities revealed that the driver allegedly moved forward towards the docking area even before the Ro-Ro personnel gave a go signal. 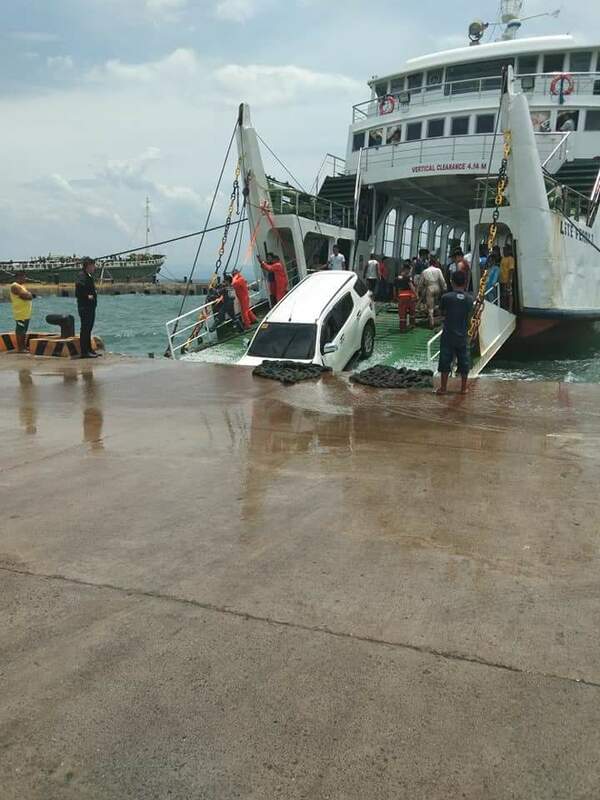 According to Petty Officer 3rd Class Christian Abuyabor, deputy commander of Coast Guard San Carlos City Sub-Station, the ramp was still not securely attached to the docking area when the SUV slipped. Although the SUV was damaged, the driver didn't sustain any injuries. Due to the incident, the disembarkation of other cars and passengers was delayed by few hours.